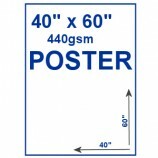 Outdoor PVC Poster - 40" x 60"
Simple modern lines and a large format display space make this pavement sign an eye catching and contemporary alternative to traditional A-boards, perfect for driving footfall into your shop, business or event. 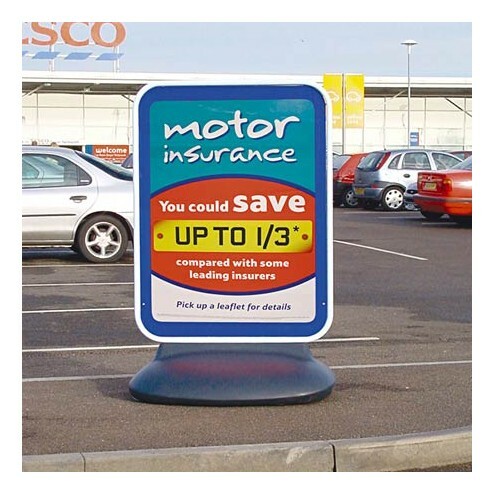 Suitable for both indoor and outdoor use, the forecourt sign has a sleek, powder coated, flat oval steel frame with smooth rounded corners for safety, and a large hollow base that can be filled with water to provide weight and stability, holding the sign firmly in position, wherever you place it. 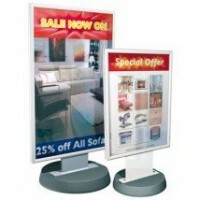 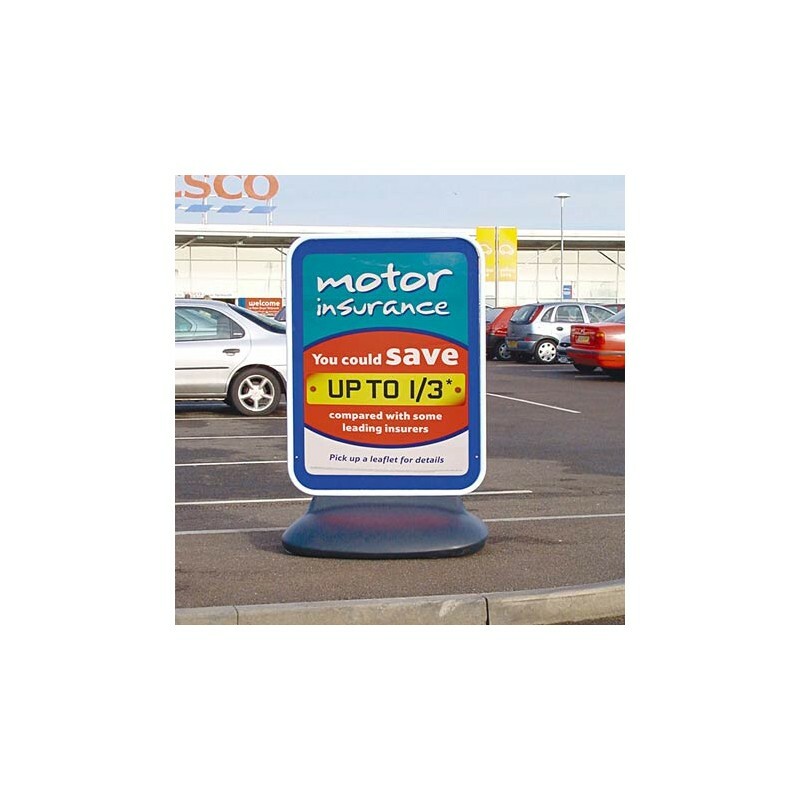 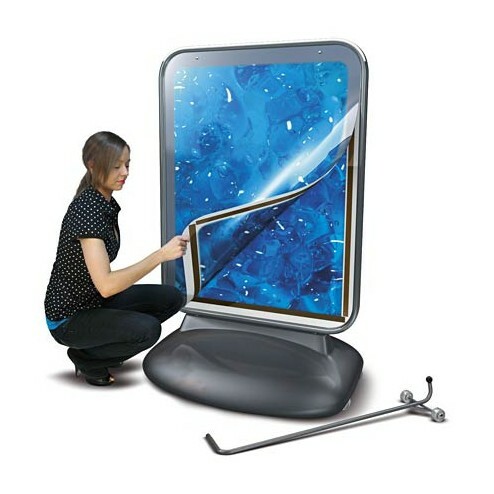 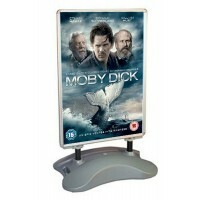 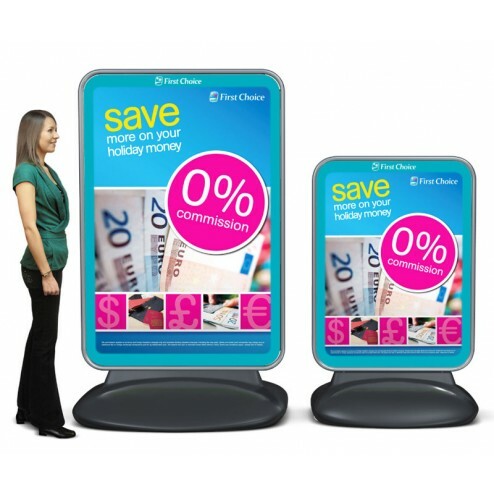 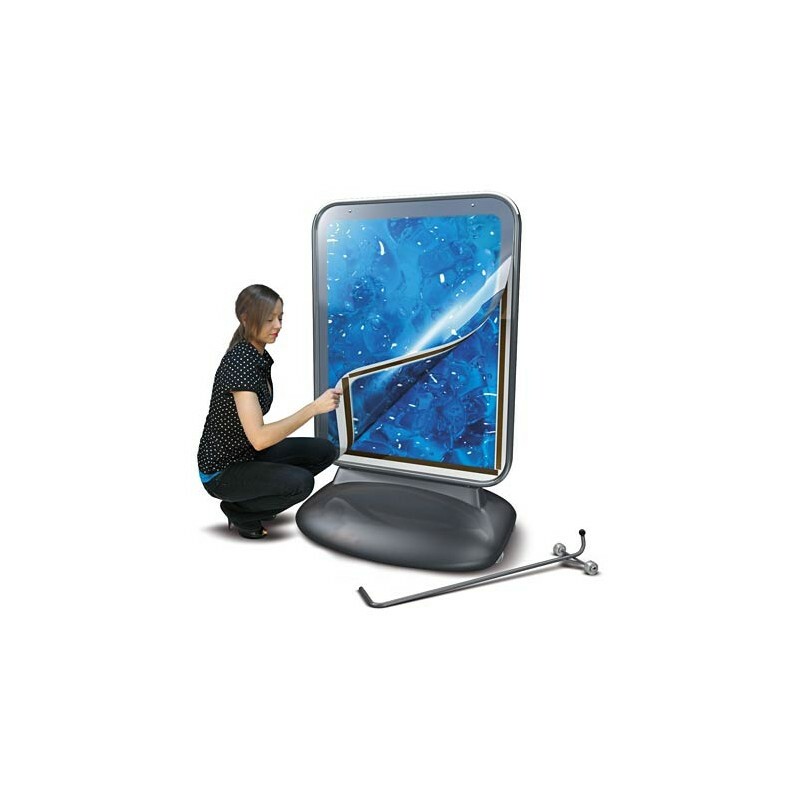 Ideal for use on petrol forecourts, outside retail outlets, garden centres, leisure centres, car showrooms, shopping malls, conference centres and more, the freestanding display sign is double sided, maximising the impact of your promotional messaging. 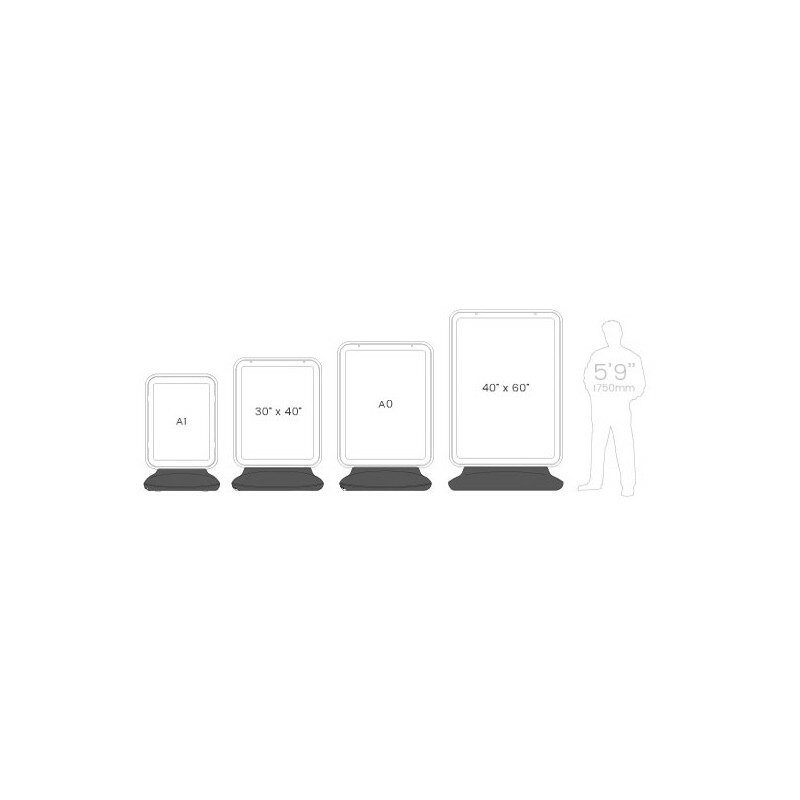 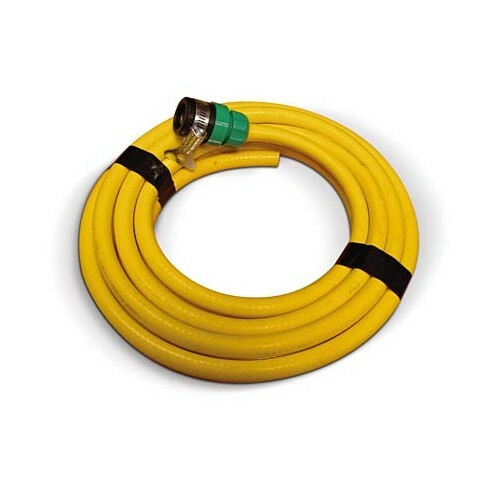 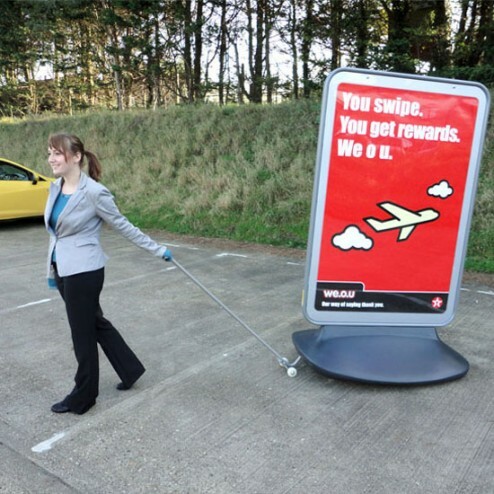 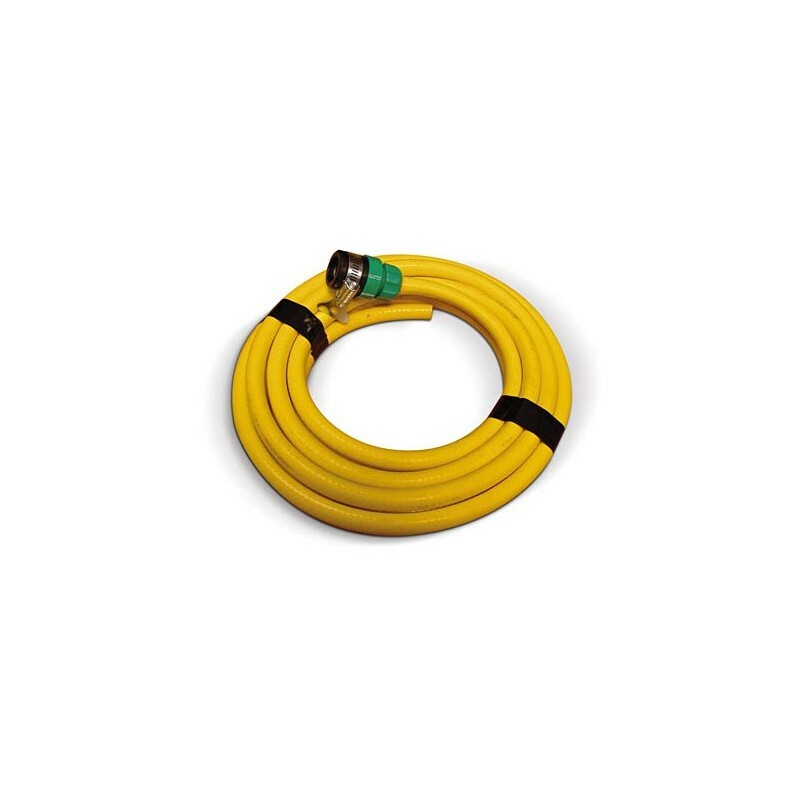 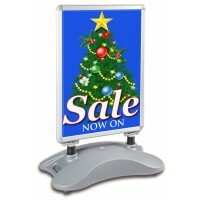 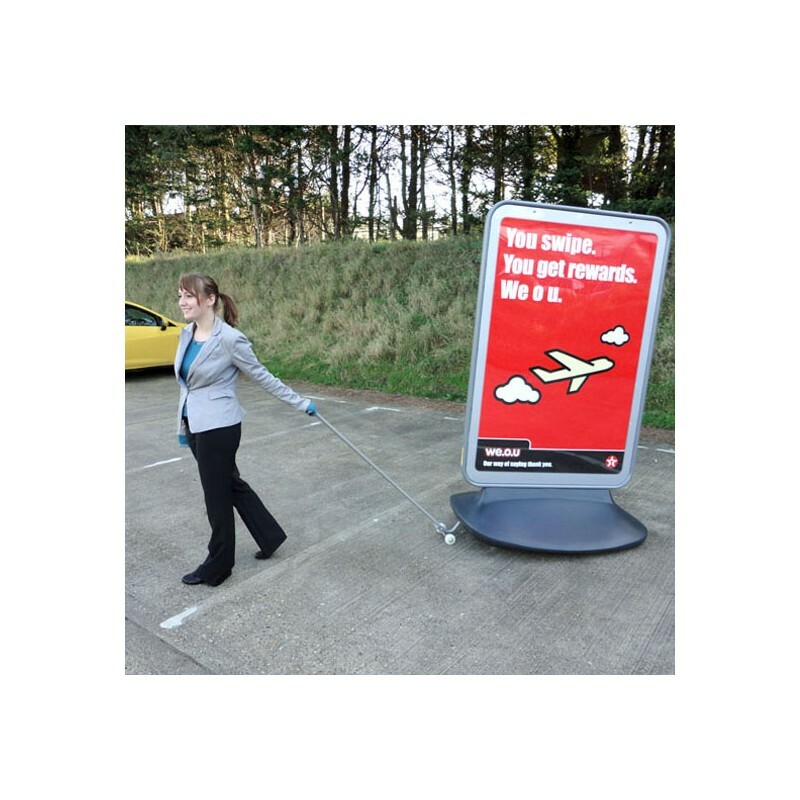 While the pavement sign is tough and heavy duty, particularly when weighted down, an optional trolley allows you to easily position and re-position the sign, so you can prominently display it during the day and store it away safely at night as needed. 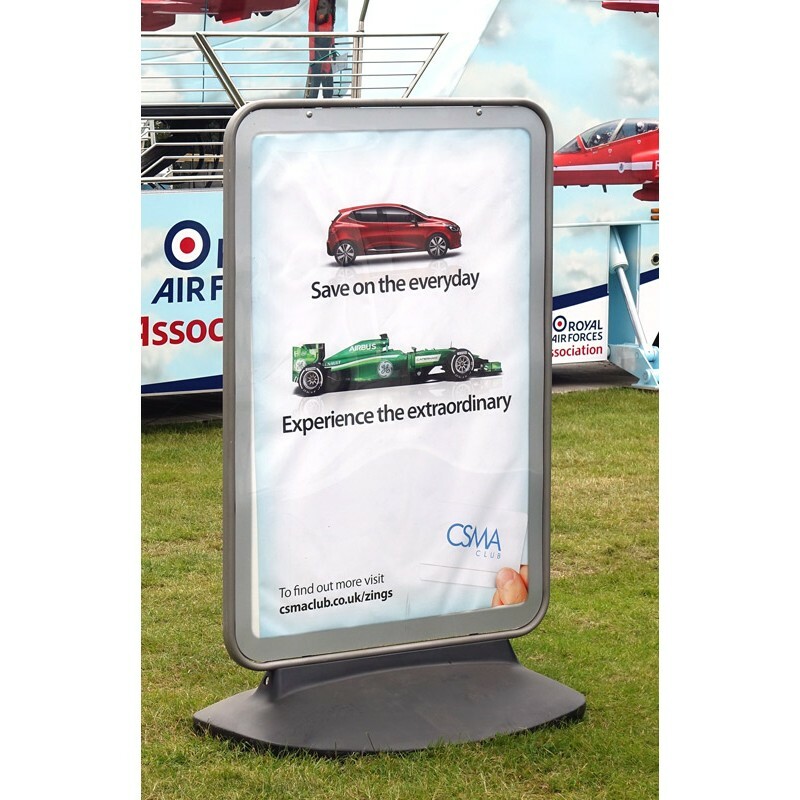 The clean, modern design and large format poster display make this pavement sign a simple and effective way to get your business noticed.